Google has announced this morning that the live place data feature one of our APK teardowns hinted at last month is now official. The feature will allow you to see an estimate of how busy a business or point of interest is right now, which, let's just stop and think about how completely insane the future is for a minute. Your phone can tell you how many people, relatively, are at a place. Just, wow. Anyway, the rather awesome technology on display here aside, Google has announced two other features regarding places. The first will let you know how long people typically stay at a particular place, theoretically allowing you to gauge how much time to make for your visit to that hot new Asian fusion taco place that everyone's raving about (just me? OK). It's handy, I suppose, but even in Google's example, the range of time (10-45 minutes) doesn't exactly scream "actionable data" to me. The third feature now allows places to have separate hours for individual sub-places under a single place card. So, for example, if you visit a big public park that happens to have a museum or gallery on the grounds, the hours for those attractions can also now appear in the larger place card for the full park. It makes a lot of sense, and hopefully Google is using some algorithmic and crowd-sourcing management to get this stuff merged into locations quickly and accurately. The post does not indicate when these features are going live. It's likely this will be a server-side switch sort of thing, though if an updated APK is necessary, we'll be sure to update this post when we have it. 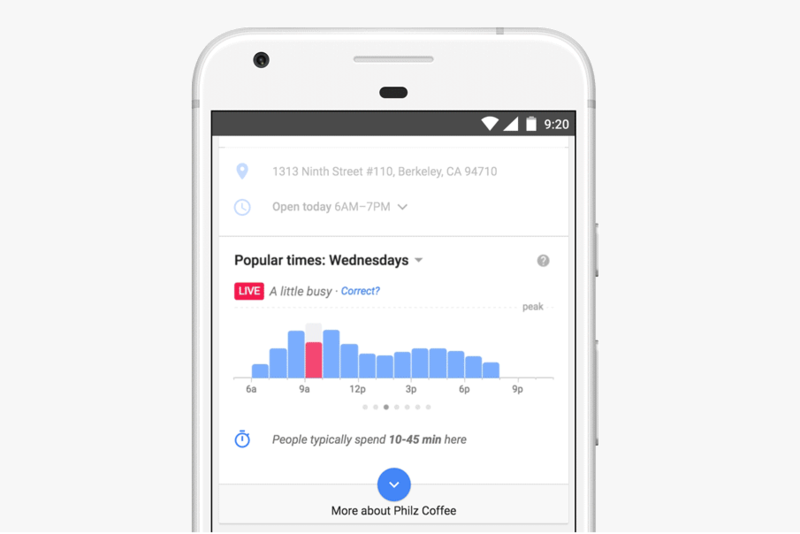 These features will be available both in Google Maps and directly through search results in the Google app.